As the Ghostbusters kinda, sorta make an on-screen return this weekend on Netflix’s Stranger Things, one of the franchise’s co-creators would love to push that even further. 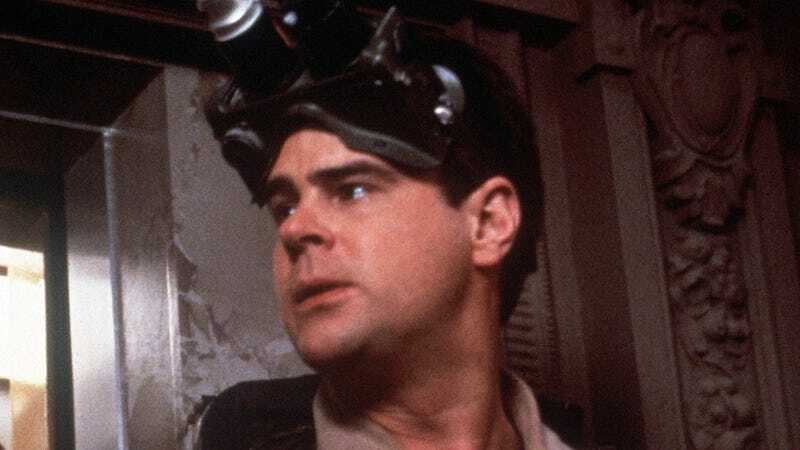 On the occasion of the Stranger Things Ghostbusters collaboration, Cinemablend asked Dan Aykroyd if he’d like to do a Ghostbusters show on Netflix. Yes. Absolutely. Sure. Sure. I can see several possibilities there. You know? Take a cue from these guys in Stranger Things and maybe have the Ghostbusters in high school or something. Now, let’s face it. Ask Dan Aykroyd “Would you like to make Ghostbusters [INSERT ANY COOL THING HERE]?”and of course he’s going to say “Yes.” He’s not going to say “No” to something that could, even in a totally hypothetical sense, further his brand both creatively and financially. It’s like when someone asks an actor if they’d like to play a role. They always say “Yes” because, well, we all like money. I can’t say I love the first idea Aykroyd threw out there though. The Ghostbusters in high school? They’d just be a bunch of normal nerds, right? Assuming Egon, Ray and Peter even knew each other back then, they wouldn’t know Winston, and they wouldn’t be fighting ghosts. They didn’t invent that until they were older. On the other hand, if kids who live in a world where Ghostbusters exist (either team, honestly) decided to get into the fun somehow? Sure, I’d watch that. There’s plenty of stuff going on with Ghostbusters though. There are the comics. The VR stuff and an animated movie that has been in development for a long time. So, for now, this is nothing more than a fun quote that’ll probably amount to nothing, but it definitely lets the imagination run wild.